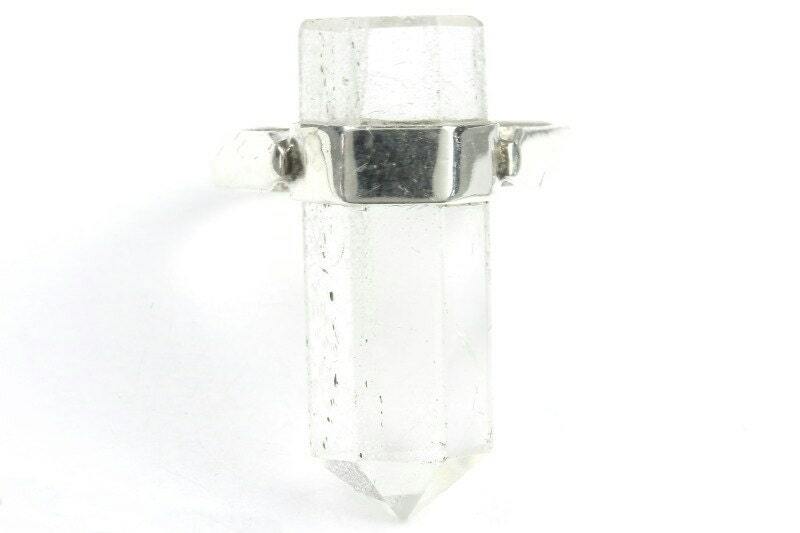 Clear quartz crystal point in a simple sterling silver setting. 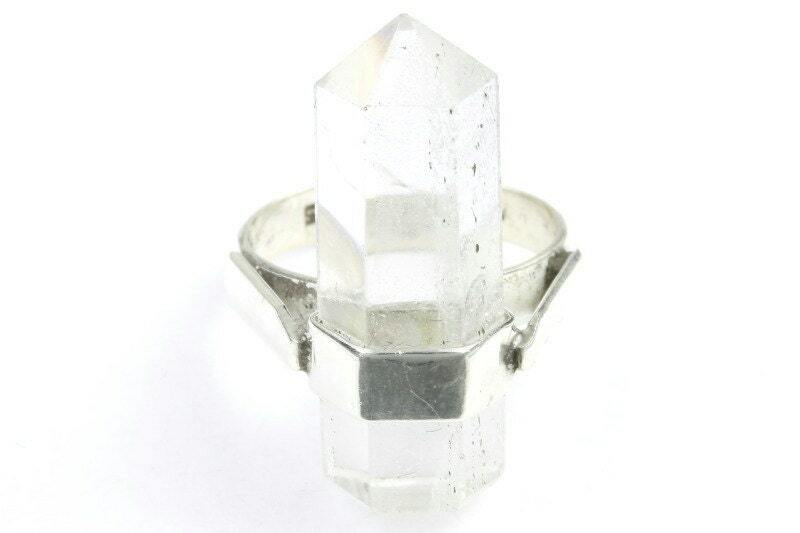 This piece sits high on the finger. 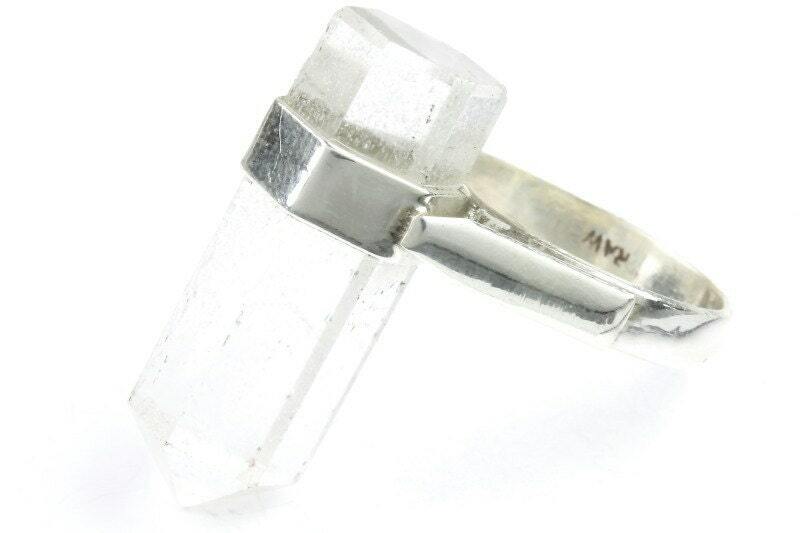 Quartz is a powerful stone of energy. Said to be the master healer. Cleansing and balancing the physical, emotional, and spiritual planes.